Please mark you calendar and plan to attend these events next year hosted by the Abita Springs Trailhead Museum. For more information, contact Board V-P George Long or Board President Martha Gruning. The threat of rain postponed this year's Busker Festival but we are good to go now on Mother's Day, May 13th. It's a new lineup of buskers, i.e. street musicians who perform for tips. (But we DO pay them!) They play regularly in the French Quarter and in the clubs on Frenchmen Street. We bring them to the north shore every year for what is our favorite event. Here's a link to the lineup. We are actively looking for folks who may be interested in serving on the Abita Springs Trailhead Museum's Board of Directors. 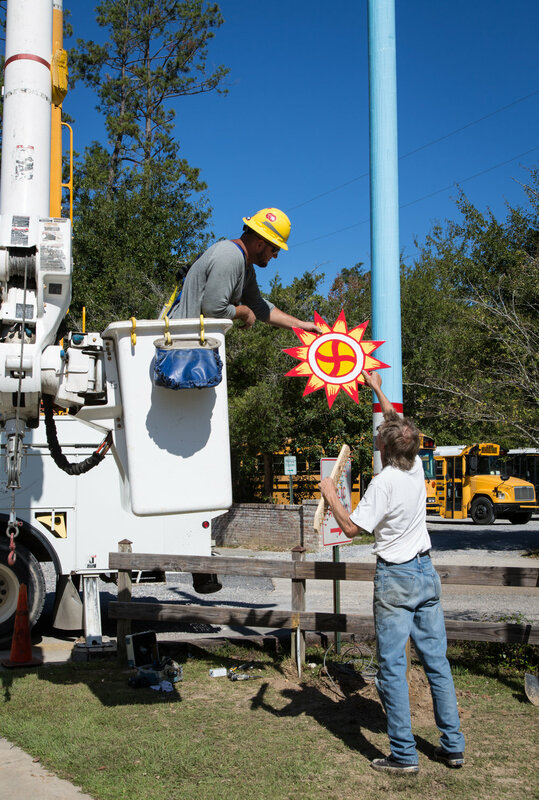 Frankly, few local organizations do more for Abita Springs than we do. We're a great, fun group of folks to work with, if you're interested in having an impact in your community. Just take a look at our website to see all that we're doing. It's important and meaningful and we'd like you to be a part of it all. 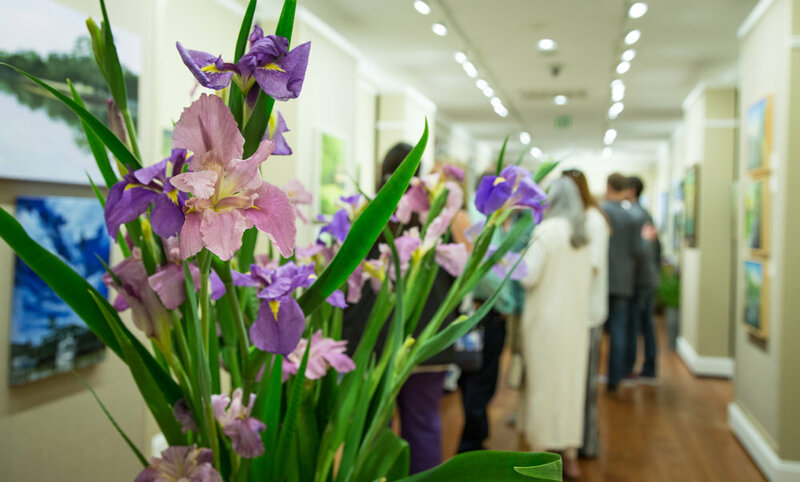 We meet on the last Tuesday of each month at 5pm at the Museum and the meetings rarely take more than 90 minutes. You would be expected to participate directly in the development and implementation of one or more of the following events: Push Mow Parade, Whole Town Garage Sale, En Plein Air, La. Bicycle Festival, Busker Festival, and our new fundraiser in October. Your application must be returned via email to our President, Martha Gruning, by December 15. We're having lots of fun here and hope you'll join us in sharing it. 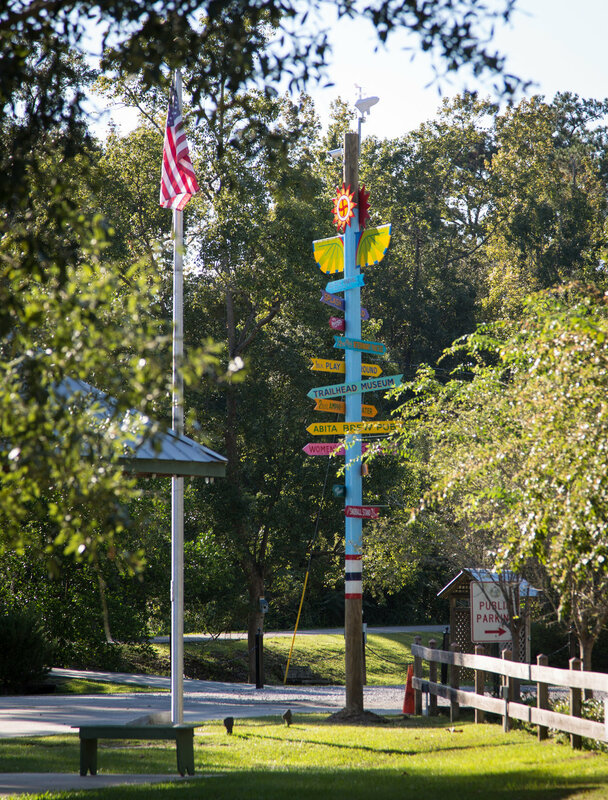 The Trailhead Museum is honored and delighted to share with you a new addition to Abita Springs Park. Wikipedia defines a totem as "a spirit being, sacred object, or symbol that serves as an emblem of a group of people, such as a family, clan, lineage, or tribe". Folks just love Abita Springs. And we're sharing that love with visitors to the Park through this "spirit stick", honoring our past through Choctaw symbology while celebrating the presence of local businesses and attractions. We hope you'll be as pleased with this colorful addition as we are. 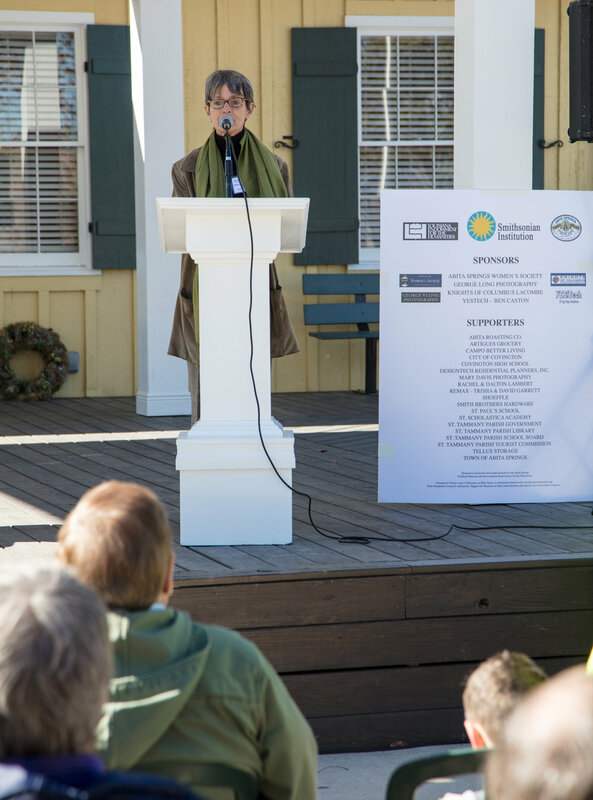 Our electric company, Cleco, funded the project, which was conceived by Trailhead Museum vice-president George Long and designed by esteemed artist and sign maker Dave Kelsey, who has worked in scenic design on numerous films. Totems are considered collective symbols that represent both God and society. Many here have long considered our clean air and pure water to be sacred. We understand and appreciate this vital connection. Learn more about this as well as the legend of Princess Abita in the Trailhead Museum, which is open on Fridays and Saturdays 10am - 4pm and Sundays noon - 4pm during the Art & Farmers Market and this Sunday's Water Festival. Along with major support from Cleco, we wish to thank those businesses represented on the totem for their contributions to the Trailhead Museum. They are Abita Brewing, Abita Snoball Stand, Abita Veterinary Practice, Blitch/Knevel Architects, the Women's Center for Healing & Transformation, Abita Springs Cafe, and Abita Brew Pub. Fall is a great time to visit the Park and the Museum. 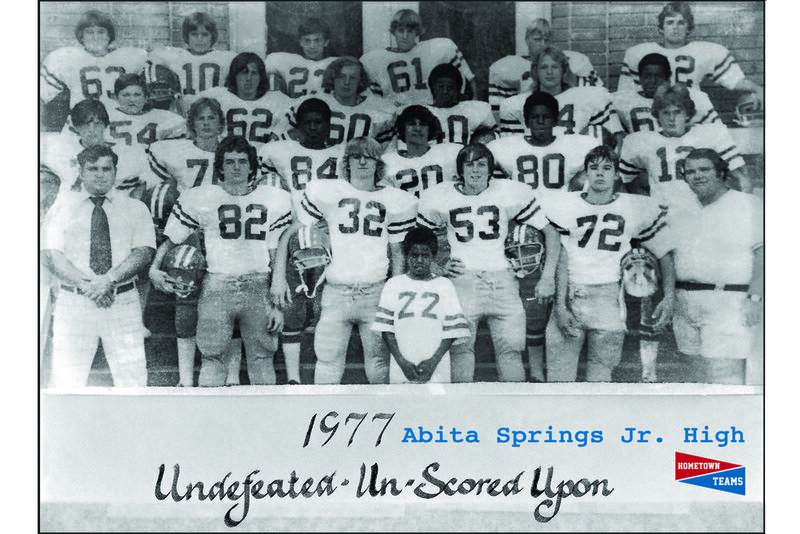 Please come see us and learn more about the history and culture of Abita Springs. We are on a roll here at the Trailhead Museum in Abita Springs! And our Push Mow Parade is rolling, too, this Saturday at 11AM. You've got to see. It's gonna to be a hoot! Seven beautiful new displays are now showing in the Museum. Be one of the first to experience this fine work honoring our history and culture. Be a part of it all by volunteering with us. 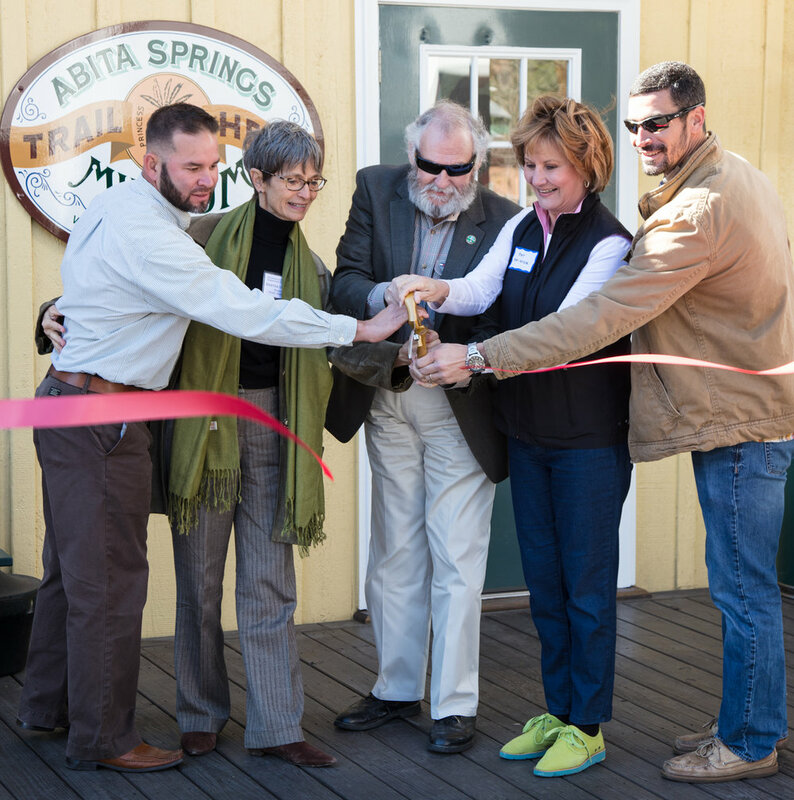 We're a fun group of hard workers who get things done for our beautiful Abita Springs. Email Martha for more information: President@TrailheadMuseum.org. Get the very latest on Facebook. Mark Rhode finely constructs one of several new displays. For more than a year, Mary Davis and Ron Blitch have worked to create the displays that will soon fill our fine, little museum. We are filled with pride, excitement, and gratitude and we can't wait to share it with you. Ron is a very successful architect. His commitment to preservation here in Abita Springs is exceptional. His love and caring for our town is dutifully portrayed in each of the twelve displays. Mary is a graphic designer and photographer. Her intense pursuit to gather and share our history and culture as Town Archivist offers a great opportunity for us to experience what this unique community has meant to so many over time. Tourism, our Choctaw heritage, nature, beer, water, our festivals, our joie de vivre - these subjects and more will make up these new, beautifully made, permanent displays. Opening soon! All creativity requires a little chaos. We'll be back open on February 11th and plan to celebrate with a grand re-opening in late Spring. In the meantime, your Trailhead Museum will be hosting four great events: our annual Push Mow Parade on February 18th, then the Whole Town Garage Sale, En Plein Air, and the Busker Festival. We hope to see you there! Many thanks to our sponsors and all those who attended the Grand Opening of our Smithsonian traveling exhibit. Beyond the usual pomp and circumstance, folks shared poignant thoughts and feelings about what it meant to participate on a sports team. 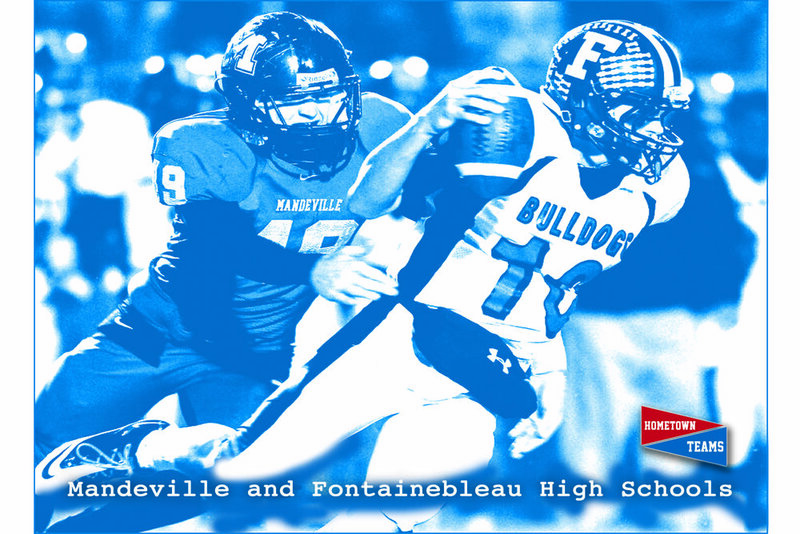 Thanks go out to our sponsors: Ben Caston at Yes!Tech, the Abita Springs Women's Society, George Long Photography, and the Knights of Columbus in Lacombe as well as a long list of our many supporters. It makes us happy and grateful that you are supportive of our efforts to bring great, creative opportunities to our community. We are so looking forward to the arrival of the Smithsonian traveling exhibit, "Hometown Teams: How Sports Shape America", opening November 19th in our newly renovated Trailhead Museum. It captures the stories that unfold on the neighborhood fields and courts, and the underdog heroics, larger-than-life legends, fierce rivalries, and gut wrenching defeats. Competition and camaraderie are explored and shared. The Museum will be open Thursdays through Mondays 10AM - 4PM, November 19 - January 1 excluding Thanksgiving and Christmas; open New Years Day. The exhibit's curator says "Few aspects of American culture so colorfully and passionately celebrate the American experience as sports" and we could not agree more. Come explore with us How Sports Shape America. Museum on Main Street information here. Visit the Trailhead Museum's website here. Hometown Teams is part of Museum on Main Street, a collaboration between the Smithsonian Institution and the Louisiana Endowment for the Humanities.